This Tuesday I went into the office like any other day. As I walked in I was told that News Corp had acquired my parent company, and thus the startup I worked for. In other words I now work for Rupert Murdoch. My mind started racing, wondering what this all means, and what I should expect. On the one hand, I like the idea of a smart and successful businessman in charge. Love him or hate him, Rupert Murdoch knows how to get things done and create value for shareholders. My startup's parent company, Move, has been struggling against competitors for a while now. Clearly Rupert Murdoch thinks that the company is an undervalued asset, and with a corporate tune up will get back on top quickly. It will be really cool to see first hand what kind of new strategy is put into place, and how the market dynamics of the industry shift. However, I obviously have some reservations. 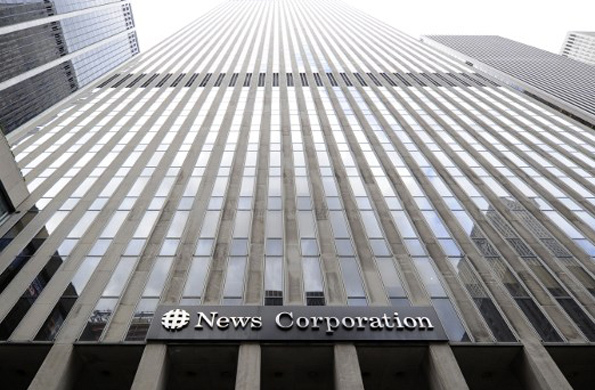 First of all, News Corp is the most ominous sounding name, and is located in the most corporate looking office tower in the world. This gigantic office building is the very embodiment of Corporate America: imposing, impersonal, and powerful. Watching Office Space as a child infused me with a healthy dose of skepticism about working in such an environment. While I don't think I'll be moving offices, putting on a suit, and shaving every day, that nightmare of a thought did briefly cross my mind. Then of course there are the ethical issues surrounding News Corp itself. I now work for a company that sells tabloids, a company that not too long ago was mired in phone hacking and bribery scandles, and a company that gave $1 million to the Republican Governer's Association. Yikes. But at the end of the day, I love the team I'm on, am interested in the problem we are trying to solve, and am amazed with how much I learn every day. I hope that Rupert Murdoch will be a benevolent corporate overlord, and take the company to great new heights, but only time will tell. Plus, since Fox News split off from News Corp last year, at least I don't have to be colleagues with Sean Hannity!